Last week, I had several questions regarding fields and how many tables and views a given field name appeared in our server. I’ve typically used the INFORMATION_SCHEMA built-in views to query this type of information, but this was always at the database level, not the server level. After a bit of research, I came across the following undocumented stored procedure that suited my needs. This stored procedure is called sp_msforeachdb and is very useful when trying to pull information about each database on a given server. 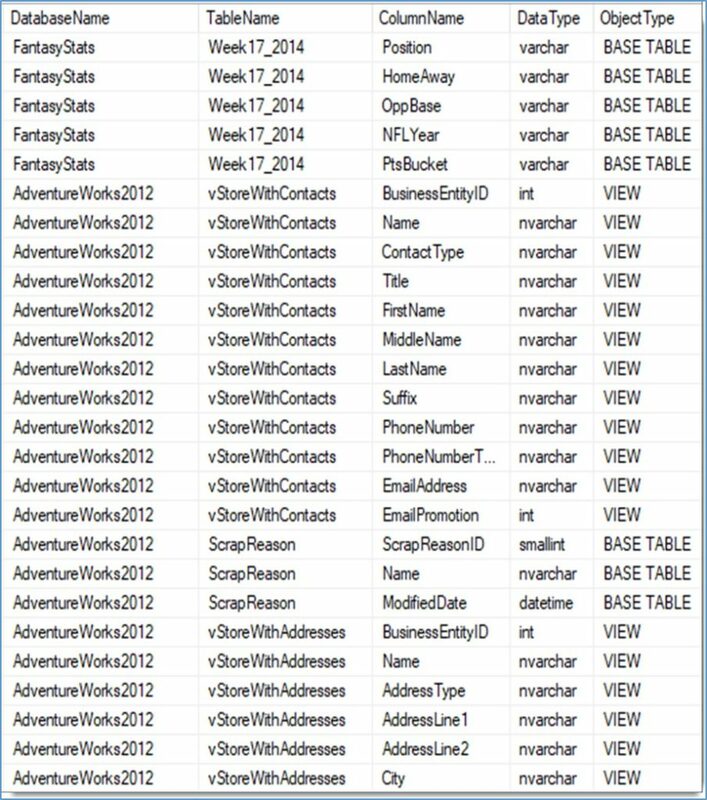 In the example below, I will show you how to build a list of all the columns that appear in each table or view on a server, excluding the system tables (master, msdb, model and tempdb). I hope you find the example above informative. Please use and modify to suit your needs.